As medical personnel tend to a student athlete in the far stands, members of the Cedarville High School girls basketball team (left) join hands with fans from both schools in prayer, Feb. 10. Play was stopped during the third quarter of the Ohio Heritage Conference title game at Greeneview High in Jamestown. 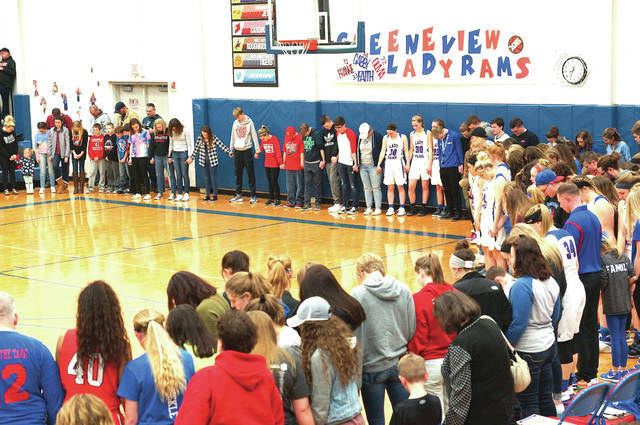 Fans and players from both schools joined hands in prayer for a Cedarville student athlete who had fallen ill during Saturday’s Feb. 10 girls high school basketball game at Greeneview High School in Jamestown. 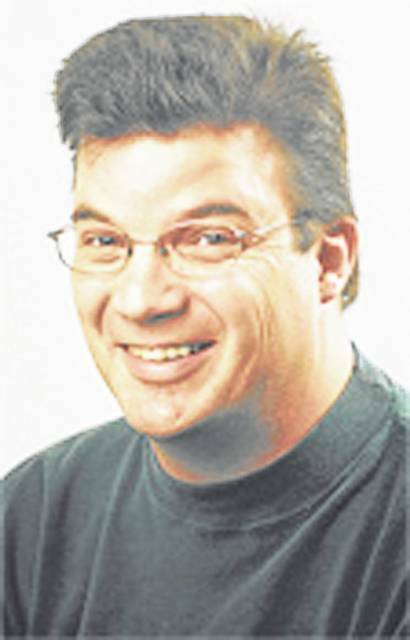 JAMESTOWN — From racially charged names on an intramural basketball team’s uniforms in Mason, to disparaging remarks made by students at a Cincinnati high school boys basketball game, the spotlight on basketball in Ohio has had negative connotations in recent weeks. On this night, students and coaches, fans and the game’s officials, did something that transcended sports. They joined together for a common good. The Cedarville High School students stopped a basketball game in their rival Greeneview’s gym. …. and for good reason. With just over a minute left in the third quarter of Saturday’s Feb. 10 girls basketball game between Ohio Heritage Conference rivals Cedarville and host Greeneview, and with a league title on the line, the Cedarville students began to make a commotion, and stopped the game. This was no protest. There were no inappropriate comments made about another team’s players. The students stopped the game because one of their fellow students had suffered an attack of some kind and lay motionless upon the bleachers, and the students were waving frantically to get their classmate the medical help she needed. Athletic trainers and school officials ran to the student’s side. At least two fans with medical backgrounds ran over from the Greeneview bleachers and assisted as well. A Greeneview school official ran to the scene with the school’s set of defibrillator paddles. The Cedarville students poured onto the court to give those assisting plenty of room. With an ambulance on the way, the Cedarville and Greeneview students met on the basketball court and joined hands. Hardly a word was spoken. The students were soon joined by members of both teams, and their respective coaching staffs onto the court. Fans of both teams and the game officials joined in as well. Soon a chain of more than 200 people from both communities had formed a circle that encompassed nearly two thirds of the court. One Cedarville student stepped into the middle of the circle and offered up a prayer, as everyone bowed their heads in support. Many of those who couldn’t make their way down to the court, stood and prayed for the student from the bleachers. Hats were removed. Heads were bowed. Hands were held. After the game, Indians head girls basketball coach Josh Mason acknowledged that his team had lost, but said that wasn’t where his heart was. The stricken student is a member of the Indians junior varsity basketball team, and so Mason and his players had heavy hearts after the game. The moment of seeing people from both rival communities get together and pray will be something Mason said he’ll never forget. The two Greeneview fans with medical backgrounds had said the student was being taken to a hospital as a precautionary measure, and said she was conscious when paramedics left the gym with her. No official word was known about the student’s condition on Monday. A basketball game was played on Saturday. And one team claimed an Ohio Heritage Conference season title over their Route 72 rivals to the north. But both teams and their communities should be credited for their abilities to put their differences and allegiances aside for a good purpose. 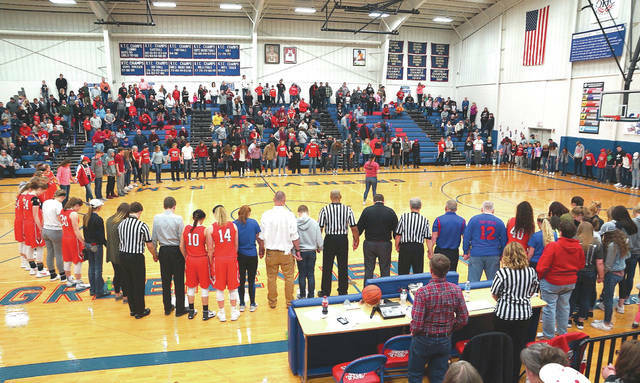 The fans of the Cedarville Indians and Greeneview Rams, and the game’s officials should all be commended for their actions and unselfish love for a fallen athlete many of them didn’t even know. It was a moment on a basketball court that won’t soon be forgotten. https://www.xeniagazette.com/wp-content/uploads/sites/32/2018/02/web1_PrayerChainLeft_PS.jpgAs medical personnel tend to a student athlete in the far stands, members of the Cedarville High School girls basketball team (left) join hands with fans from both schools in prayer, Feb. 10. Play was stopped during the third quarter of the Ohio Heritage Conference title game at Greeneview High in Jamestown. https://www.xeniagazette.com/wp-content/uploads/sites/32/2018/02/web1_PrayerChaineright_PS.jpgFans and players from both schools joined hands in prayer for a Cedarville student athlete who had fallen ill during Saturday’s Feb. 10 girls high school basketball game at Greeneview High School in Jamestown.